Dr. Atwater began investigation of NDEs in 1978. With material from over 4,000 adult and child experiencers, she has written seven books. As a result of her writings, she has been invited to speak around the world, serving as one of the foremost global ambassadors of NDEs. 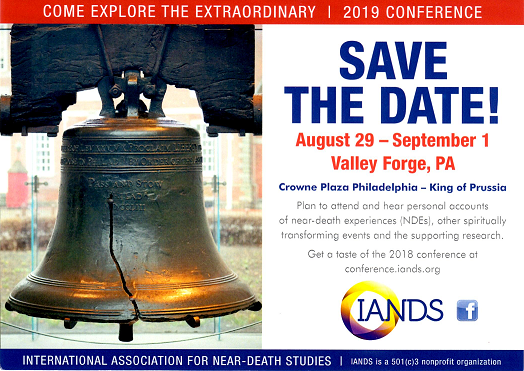 During the 2006 IANDS Conference, Dr. Atwater reported her observations from her travels in her presentation, "Who in the World is Interested in NDEs?" Dr. Atwater is "Dr." twice over by virtue of two honorary degrees bestowed by an International College in Quebec, Canada: a Doctor of Humane Letters (LHD) in 1992 and a PhD in therapeutic counseling in 2005. Also in 2005, she was recognized with the National Association of Transpersonal Hypnotherapists' Lifetime Achievement Award and with IANDS' Outstanding Service Award. Many NDErs have found Dr. Atwater's work to be a source of tremendous support in the aftermaths of their experiences.